I am one of those people who have always felt an affinity with the angels. Having seen an angel as a child, I could not ever disbelieve their existence. As an adult, my interest and connection with angels grew to the point that I became certified by Doreen Virtue as an Angel Intuitive and since then my psychic and angel / spirit communication abilities opened up to the point of being able to give readings to others. It is the angels I thank for assisting my on this path of spiritual growth, as well as being present and offering Divine guidance in my readings. Below are some tips to help you bridge a connection with the angels. The biggest tip I can give you is to not get all stressed out or think that you have to be special or advanced to communicate with the angels. It really is very simple indeed, and meant to be natural. ​Just like you pray to God or the Divine, you can pray also to the angels. That is because they are non denominational intermediaries between the worlds. They exist as God's creation to be of service and shed love and light to humanity and earth. ​Read more about Angels here. All angels require of us is to ask for their assistance and they will be there for you and with you straight away. ​It is up to you how you go about it. You can ask silently (in your mind), or out loud. ​You can talk to the angels about anytime, and about anything you like! Don't worry that you are bothering them, as they are always available for you and others simultaneously, and there are absolutely no limitations. It is the same for all beings in the spiritual realms, such as Jesus, Buddha or Saint Germain. I often talk to the angels while walking, driving or performing mundane tasks such as vacuum cleaning or sweeping the floor. This way I make the most use of my time while also expressing my both deep concerns and worries as well as my more positive hopes, goals and dreams. The angels can only assist us once we open up that dialogue, so the more you have conversations with them, the more they can help. Prayer and intention are trusty allies when it comes to angelic communication. It is your faith, perseverance and continued efforts that will help build a stronger connection with the angels. But it is important that you trust in the Divine and stay open to the process. "Have you been praying to Mother Mary lately, because she's coming through to acknowledge this and let you know she has heard you." ​The client will be met with amazement and often burst into tears of both validation and extreme comfort. They feel heard, connected, valued, validated. It is like a mini miracle in action, and at this point the healing energy of the being is so powerfully present that they the client can themselves, or I can direct it their way. And this has happened countless times long-distance, over Skype. Click here to see some samples of prayers you can use. You can talk to the angels every day in your head or out loud if you are so inclined. 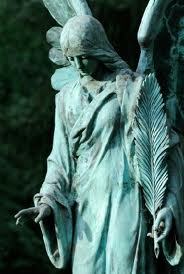 ​Tell the angels any worries or concerns you may have, and ask for their guidance. ​A good visualization that you can do is to imagine placing all of your earthly problems into baskets that the angels take away to Heaven. Trust that answers and solutions will come to you. They will respond to any requests, prayers, affirmations or even by visualizing them. Once you have asked, you have given them permission to intervene. They wish to help, however they are bound by the Law of Free Will, so asking is always the first step. ​If you would prefer a more concrete method of communication, try writing the angels a letter and popping it under your pillow or in a special place like a sacred box (some people call such as box a 'God Box'). You can read more about creating a sacred space and God box here. "You can connect with the angels just by intention. All you need to do is talk with them and ask them for their help and guidance with whatever you need. Then just step back and listen, look and feel for answers in the form of clues, signs, unusual or synchronistic occurrences, sudden ideas & inspirations and so on. The angels love to leave signs such as feathers, coins or other objects for you to stumble upon. They might make a book appear to 'pop out' of a shelf to draw your attention to it, or guide you to open it to a certain page. Once you ask the angels for help, or for a sign; be open to receiving guidance in other ways too, such as via your thoughts, feelings, dreams and any new ideas or opportunities that come to you. Also stay aware. You might receive guidance through a song (especially if it is repeated), or have an 'aha moment' when someone says something that clicks for you. Pay attention to your body too. Your body is a natural receptor that can respond to the angels' presence, or react when a sign or message is given. You may feel tingles, sweet shivers or goose bumps. As the stomach is your intuitive centre, you may receive gut knowings in this area. If you are not sure, or have any doubts whatsoever about communicating with the angels, or even that they exist at all, just try asking them to help you and then remain open. You can always ask for validation, or to be given repeated signs or guidance. We are only human after all! Angels love to send us feathers. If ever you stumble across a feather that seems to be glowing sacred, or magically placed, you can bet it is a beloved sign from an angel or loved on in spirit trying to communicate with you. ​God speaks through nature and feathers are amazing gifts from heaven. ​Read all about the magical experience of finding feathers and their different colour meanings here. Angels might send you signs through images that seem to appear as if by magic through organic cloud formations or in the residue of a coffee cup. ​Sacred signs can also emerge from interesting objects created by man or nature, such as faces in slate tiles, or images in a tree or piece of furniture. ​If they seem to speak to you and carry an essence of unusualness or sacredness, then you can rest assured it is a special sign from spirit just for you. Look out also for numbers that also act as signs. These are individual digits, or repeated number sequences or combinations that you see on clocks, signs and in all sorts of places such as on TV, in products or even books and car number plates. This is a magical way for the angels to communicate with you and catch your attention. Seeing numbers is a way that you synchronistically come into alignment with Spirit. Once you see numbers, you will start to have more experiences of it. It truly is an amazing mystical phenomenon. ​Read more about angel numbers and what different numbers mean here. After a while, you will learn to have faith in the angels and also in yourself to receive messages and trust your intuition. Being in an open state of awareness helps you to not only notice the signs, but also be attuned to the Universe and also helps awaken your own receptors. We each have a psychic ability waiting to be discovered and developed, and the angels can communicate with us telepathically. Set the intention to develop your intuition, stay open and be willing to receive guidance in the many beautiful ways that it does. Do not question it when it comes. Just accept it graciously, say thank you and enjoy the sacred process. Placing statues, figurines or art images of angels in your home workplace or sacred space, both draws angels to be in your environment, as well as provides a greater angelic intervention. It reminds you of your Divine origins and celestial connection to the angels. You can do the same for any spiritual or religious figure / being that you feel a special affinity with, or whose energy, qualities and gifts you would like to bring into your home and life. Click here to read how you can create a sacred space and angel altar to help you connect with the angels. 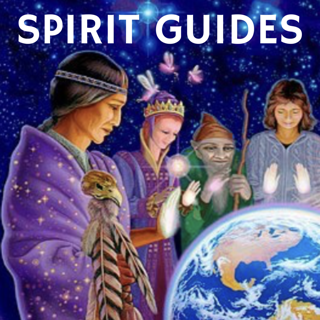 One amazing way you can bridge your connection with the angels is by using oracle cards. There are many oracle cards on the market, including decks that are specifically angel themed. Many of my decks have been created by Doreen Virtue, who is often dubbed the queen of angels and oracle cards. It is through Doreen that I received my Angel Intuitive training. ​You don't need to be an expert in order to use cards and they can give you beautiful, reassuring and validating messages that are easy to understand. Cards are created as divination tools and are a way in which the angels can get messages through to you. 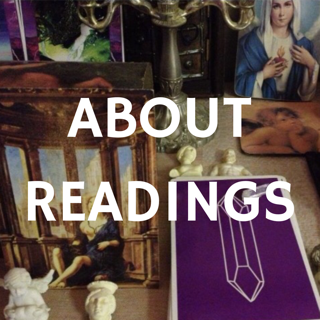 The more you use them the more you become accustomed to giving yourself and others readings, even if it is just for fun. On top of this, you will be building up your energetic connection with the angelic realm and your own spiritual team who are always there ready to assist you. 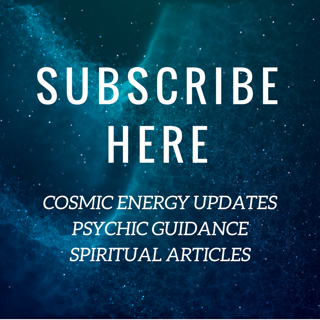 I will be writing more on these topics soon, as well as offering online courses on how to communicate with angels, use oracle cards, develop your intuition, psychic protection and many other spiritual development topics.